Today, I’m partnering with Grain Foods Foundation to bring you this Cardamom and Clove Spiced Rice Pilaf. 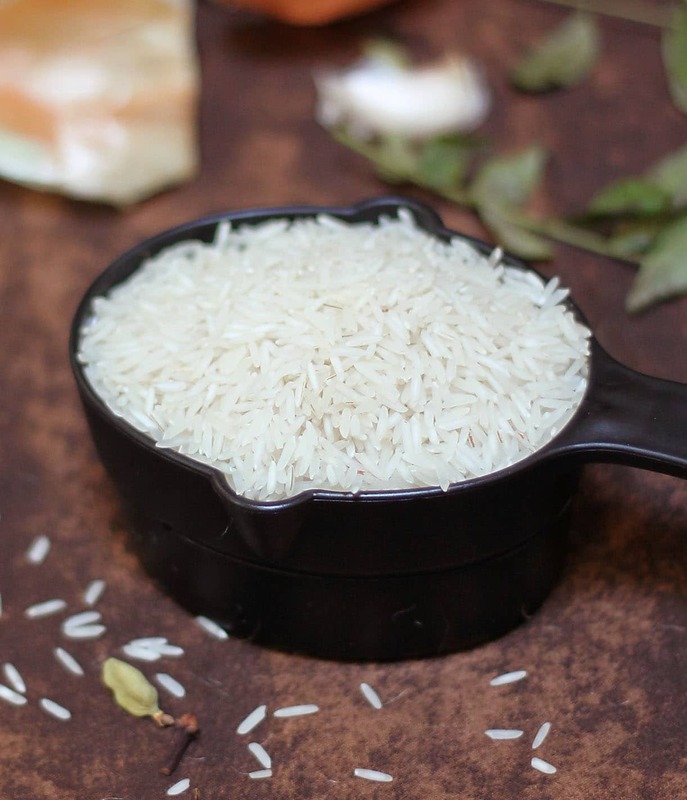 Growing up in Sri Lanka, it often seemed like rice was the center of just about every meal. For breakfast there was “kiribath”, which consisted of rice cooked in milk; for lunch and dinner, there was usually rice with curries; and birthdays and holidays were often celebrated with “yellow rice”-a highly fragrant rice, often cooked with cardamoms, cloves, cinnamon, coconut milk and saffron and served with cashews, sultanas, hard boiled eggs and peas. To this day my mom can make “yellow rice” so fragrant, my daughter and I can smell it while we are on the elevator, before we even get to her apartment! 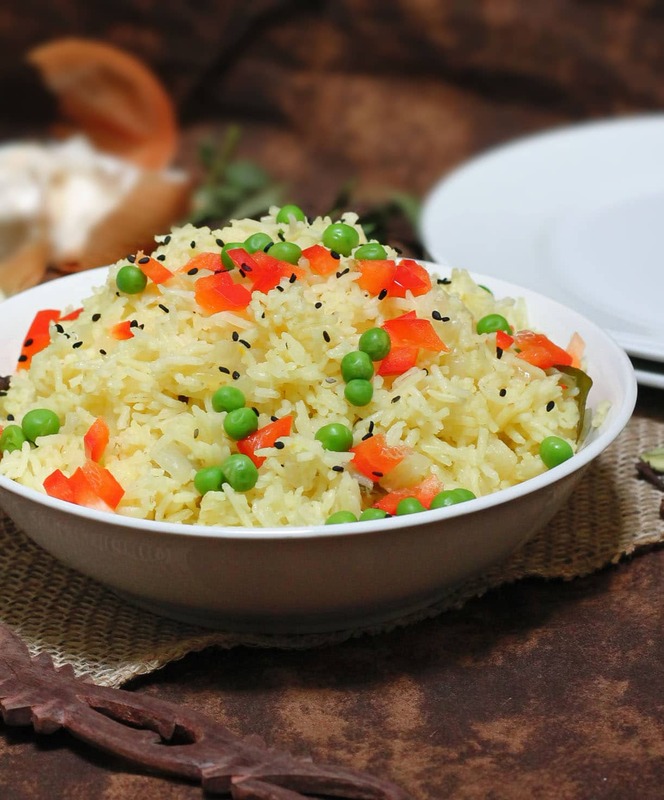 Often times when my cousins visit from New York and my sister flies home from Dallas, they will gladly eat my mom’s yellow rice and curry for breakfast, lunch and dinner – saying that it is brain food! My mom’s idea of measuring often involves “a dash of this” or “a pinch of that”…once, she actually specified “a cup of..” and I was beyond stoked – only to find out later that she was referring to the humongous cup she used for her coffee! So no matter how many times I try to duplicate her “yellow rice”, mine never quite tastes as good. So today, I tried something different and came up with my version of my mom’s “yellow rice”. I started off with some onion and garlic sauteing in some olive oil to which I added rice, I also used saffron and cloves and cardamoms but replaced the coconut milk with vegetable stock; and called it simply a Spiced Rice Pilaf. 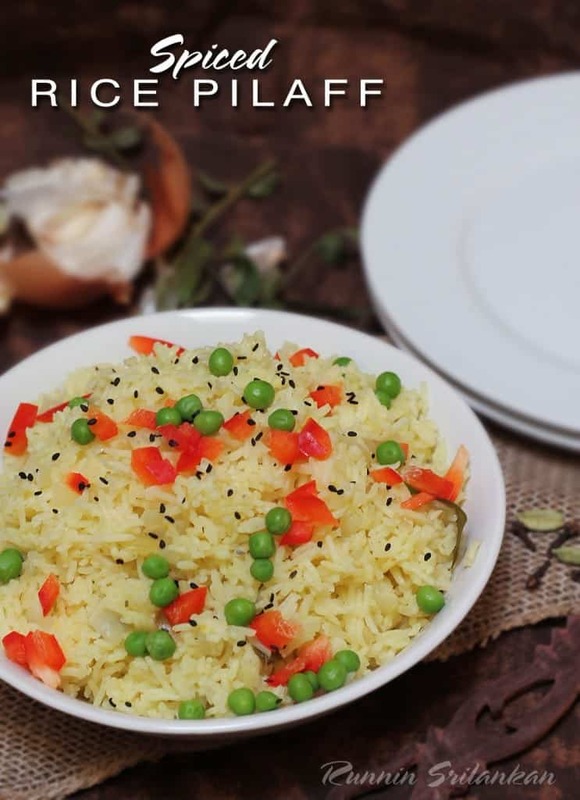 I threw some toasted black sesame seeds, some peas and some red pepper on for garnish, leaving off the eggs and cashews and sultanas – making this rice dish a versatile and filling side dish to any #Holidaytable. 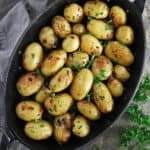 In going over some of the articles on The Grain Foods Foundation website, I found some supporting my cousins and sisters claim that rice was indeed brain food – now I am no expert – so I would love to know what you think? How do grains affect your physical and/or mental performance? This post is sponsored by The Grain Foods Foundation. While I received compensation for my time, all opinions are 100% my own. Can’t begin to imagine how good your Mom’s yellow rice smells. Must be amazing. Reading your post though, I’m totally hungry for your Spiced Rice Pilaf. It looks delicious, Shashi! I should make this for Clint and I. Thanks Sean – btw, when my daughter was around Clint’s age, I used to take the cardamoms and cloves out as she wasn’t a fan of their texture. Mmm love the sound of this- big rice fan here (but you already knew that)! 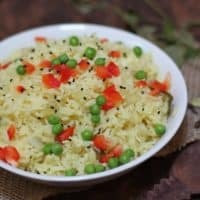 I’ve really been into curried rice pilafs lately but am going to try this out next- I know it will be a nice change, especially with a side of some chicken tandoori! As for grains and my performance- apart from tasting so good, I definitely notice I feel a lot better both mentally and have much more energy physically! I am also much more in control of my eating (i.e. not mindlessly snacking throughout the day)! 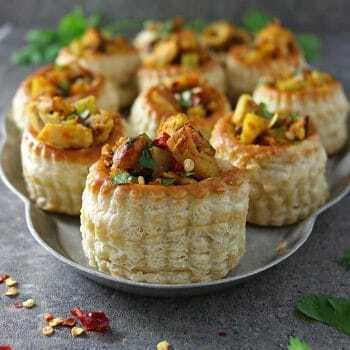 Khushboo – ooh tandoori chicken with this is a FABULOUS idea! Now I want some tandoori!!! Also – I find that grains keep you from mindlessly snacking so interesting! Dont’ you just love mom’s measuring tools? I love fragrant rices and spices in my rices and yours sounds beautiful. It makes your whole house smell wonderful. I think carbs are good brain food. Mental activity requires a lot of energy and the brain likes to get that in the form of glucose from the breakdown of carbohydrates. Chocolate cake is a carb- must have that to think. End of story! LOL Have a super day! Oooh and now I want some chocolate cake! Hope you have a super weekend! Haha – Neil – your curry fests should be renamed to curry feasts – the food on your list had me swooning! I LOVE RICE PILAF. 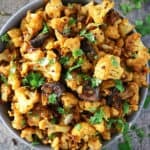 My stepdad makes a version with mushrooms and it is so, so good. I love that you used your mom’s recipe as inspiration but completely made your own version 🙂 Deeeeelish. Thanks Erin – now your step dad’s with mushrooms sounds deeeeelish! I have made risotto with mushrooms but not tried them in pilaf – thanks for the inspiration! In love! Any dish with all those spices…ah! So beautiful! 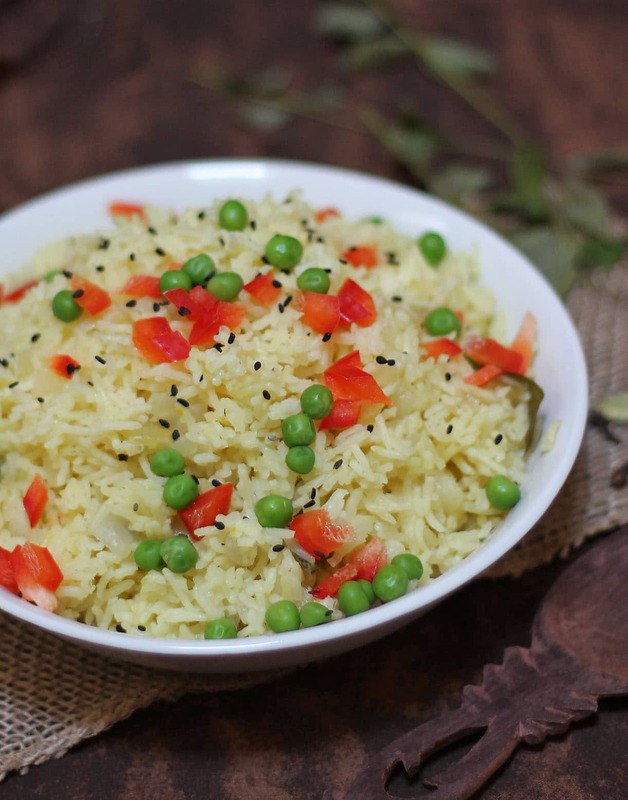 This pilaf looks amazing, Shashi! I love your Mom’s way of measuring things…you totally should have just put all of those measurements into your recipe. Just for fun. 🙂 But here’s the real question: how did your version compare to your Mom’s? I have definitely been down that road of trying to recreate family dishes…and it’s no easy feat! Either way, this pilaf looks healthy and delicious. Plus, if I eat the rice, I’ll get smarter. Now that’s a win-win! Hahahaha – I have to remember to try adding a pinch of or a dash of or -ooh, my favorite- “not a pour of…but a poooouuurrrrr of” next time! Mine wasn’t as good as my mom’s! David – I swear I think she has some secret ingredient or ingredients – my replication of any of her dishes don’t ever turn out as good as hers do! Btw – thanks so much! Hope you have a wonderful weekend! Not really a fan of white rice, but I would love this with all the spices. AngieI think brown or black rice would work well too! Thanks so much Chris – I grew up eating rice – at least twice a day! 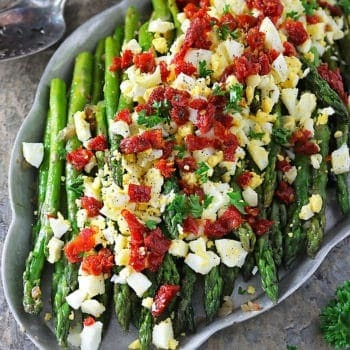 Love your spin on this classic side dish! Can’t wait to try. This looks awesome!!! 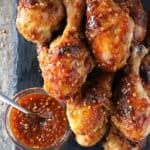 Don’t laugh but this might be the first recipe you have posted that I have every ingredient already!!! 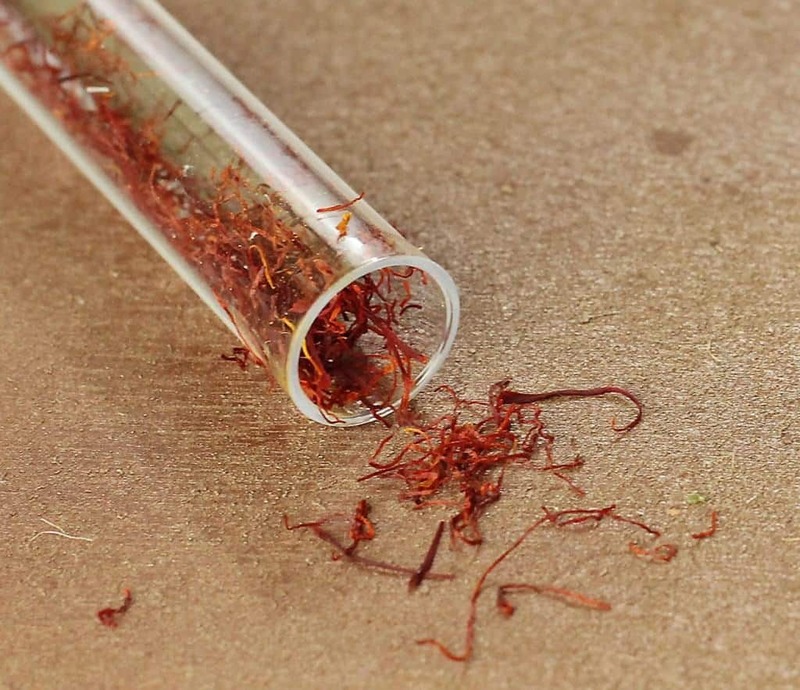 Definitely making this – plus it will give me a good way to use some of that super expensive Saffron I have. Haha – oops sorry, you told me not to laugh – Kim -so glad to hear you have all the ingredients for this – would love to know if you liked it or even if you hated it! Hi Shashi, my mom measures the same way, beautiful rice dish, love the pops of color. Ha – I sure hope you try it Lorraine! Thanks so much Suzanne – Happy Thanksgiving to you too! 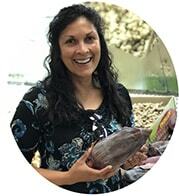 Thanks so much Denise – I have had cardamoms in savory dishes, but I cannot think of one dessert that I have had that had the green whole cardamoms in it! What is it with that generation and using special cups for measuring! My grandmother and the.boy’s grandmother each have their own special cups and so you can’t make any of their recipes unless you “borrow” the cup from them! Sigh. I think your rice looks pretty great though! Love the spices. 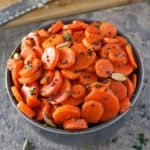 This looks like the perfect pilaf! Love, love peas with rice! these simple (yet fragrant) dishes are my favorite. Love that spice woman! Thanks so much Kelly – I don’t know what it is,but, mine never turn out as good as my moms! This rice looks so so good! I’m glad you made your own version to share with us! Happy weekend! Thanks friend – hope your weekend is extra happy too! Lovely rice dish…I wish I could just put that bowl on my lap and enjoy it with a big spoon!